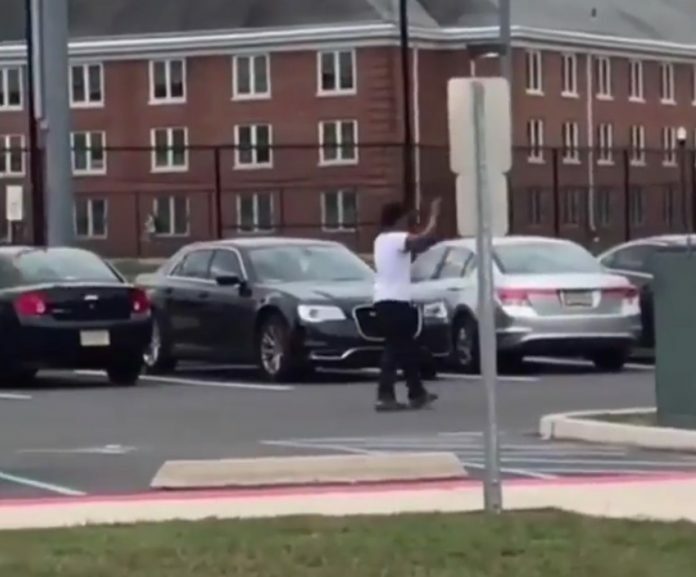 A report about a suspect with a gun led Glassboro police to pull over a car with two Rowan students on Monday, pointing an assault rifle at them on campus. The students, Rowan senior Altaif Hassan and freshman Giavanna Roberson, were searched by police and found to have no weapons. Videos of the event were filmed by bystanders and one was shared on Hassan’s Facebook page, which is under the nickname Deuce Willis. The video shows Hassan being ordered to step out of his car, a black Dodge Charger, with his hands above his head, walking backwards toward police. One officer seen in the video had an assault rifle trained on Hassan. The post went viral and has been viewed over 230,000 times, as of Wednesday, Oct. 3. Various sectors of the Rowan community voiced their reactions to the situation. 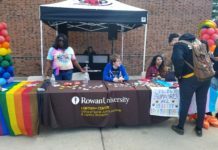 Joe Cardona, vice president for university relations, emphasized that Rowan Public Safety was not involved in the initial pull over and only served as back up, since the Glassboro police officers pulled Hassan over as he was turning into Rowan’s campus. On Wednesday, the Glassboro Police Department released an official statement on their Facebook page stating why Hassan was pulled over. According to Glassboro Police Chief Franklin Brown, police were conducting an active shoplifting investigation at T-Mobile in the Collegetown Shopping Center. Body-cam footage shows employees being interviewed by officers about the incident. During the T-Mobile interview, an individual came into the store, reporting that he had seen a heavy-set black male with a gun get into a black Dodge Charger. An officer in the area spotted Hassan’s Charger that matched the description given by the witness. “Officers have an obligation to investigate when this type of information is provided regarding a serious threat of an alleged armed subject in our community for the safety of all involved including the people that are subject of the investigation,” Brown continued. The post clarified several inaccuracies in previous reporting on the incident. These included that no armed robbery had taken place, there had been no 911 call to the dispatch/communications center and the police did not stop the wrong car. Rowan students shared their reactions to the incident. Senior early childhood education major Sabrina Petrunis felt the police officers took necessary steps, especially in today’s climate. “There are so many school shootings now a days, I think it’s important that they do take precaution, whether they are 100 percent sure or not,” Petrunis said. Senior planning major Errin Edwards offered a different take. I don’t expect excellent coverage from a college newspaper, but I expect better than this. 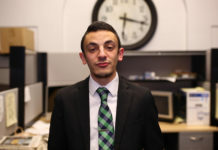 Regional news had this story blanketed, why couldn’t the staff — who live on campus or minutes from campus — do the same? Was an officer questioned or did the Facebook post from them do the talking? Still many questions. Was a regional news source able to get a quote from Glassboro police that did not come from the Facebook post? I spoke with Chief Franklin Brown, and he said the Facebook post was their official statement and what they would go on record with. What other areas of our coverage did you find lacking?